My weirdest experience of E3 2018 occurred at the Sony party, after its divisive press conference. The layout already put me off-kilter as I wandered aimlessly between a life-size set for The Last of Us, through Ghost of Tsushima-style Japanese gardens and into a cardboard cutout New York setting filled with Spider-Man demo booths. As I wandered, the sound of live music blasted from the central tent (which had hosted the majority of the conference) so I went to see who was performing. As I made my way through the milling crowds, I realised that there was no band - just a handful of people on the stage dancing around enthusiastically with a firm grip on PlayStation 4 controllers. Behind them, giant screens were filled with creatures sculpted in digital plasticine performing on virtual instruments. I was confused. A fellow attendee saw the look of bewilderment on my face and explained. Everything I could see and hear had been made in Dreams, the next title from LittleBigPlanet developr Media Molecule. Not only were the creatures and animations made in the game, but the people on stage were the developers, using the controllers to perform the music live. Every note, every beat was triggered by their joypads. "This is the future of music," my peer said. "You'll be able to host concerts and improvise as you play, all done directly through a video game." 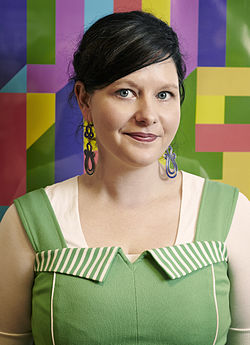 "That is what Dreams is all about," Media Molecule studio director Siobhan Reddy tells me almost four months later. I'm discussing my experience with her ahead of her BAFTA Games Lecture in London, an evening in which she would reflect on the incredible potential for games to unlock anyone's creativity - something her studio has explored with each of its titles. Dreams will be no different. "We wanted something that allowed you to make more than games," she continues. "We love games, but the interesting thing is to make a game, you need to be able to make music, you need to make little movies, you need to make animation and logic. In order to build a games-making tool where anything can happen, you end up making a movie maker and music maker, and therefore a music video maker, and therefore a live performance tour. That's the thing that's truly so exciting. "When people in the studio use it on their own time, they do the most insane things - it's never just a straight game. Some just feel like making a song or something, and that's what we're excited about. It will be beyond games, and it will help us see what happens when you put the idea of making a game in the hands of someone who doesn't even know what games are." "I really believe games is the medium of our time"
Reaching people unfamiliar with video games, but keen to experiment with various artistic mediums, is something Reddy is keen to push with Dreams. Regularly describing the game as the "culmination" of the studio's efforts during her lecture, she shared her ambition of giving games development "the same accessibility as using a camera, guitar, or a pencil - something you can start to learn just by picking it up." It's a bold and admirable notion. After all, even someone with literally no training in music can pluck guitar strings and start to chain notes together, just as anyone with a pencil can eke out a simple sketch and everyone with access to a camera - even on their smartphone - can use it to record footage that can be used for entertainment. By comparison, video games is a walled garden. While the price of tools is practically nothing and engine providers are making their products as accessible as possible, it still requires some basic understanding - or a lot of learning - of not only how video games are developed but also how the final products play. Yet this has not deterred Reddy, nor her team. "I really believe games is the medium of our time," she says. "It's an incredibly exciting thing to do, to make something people can interact with. "I love the idea of people being able to just pick it up as a hobby. Every person who picks up a guitar doesn't go on to make 50 albums and be No.1 - you can just do it because you love it as a hobby. And it can be something to do with other people, and you can form a little band, and it can just be a pure hobby and pure fun. It might be that they do find a new profession and that's awesome, but from that we as an industry get to see what games are. "Dreams will be beyond games, and it will help us see what happens when you put the idea of making a game in the hands of someone who doesn't even know what games are"
"Think about how much music has progressed since people were able to just buy a guitar in a shop - it means you can just express yourself, you can take it wherever you want to take it. Sometimes we get boxed in by genre or length or whatever, whereas our aim is to allow people to do whatever they want. They can be genre-bending, they can move between 2D and 3D, they can have a movie that turns into a music video that turns into something else." Giving users the tools to accomplish this is perhaps Media Molecule's greatest challenge. A guitar, with its six strings, is an incredibly simple instrument, and producing notes with it is intuitive. A pencil is not a mechanically complex item to operate. But, as Reddy herself indicates, video games are built through advanced and interconnected systems governing graphics, sound, animation, logic and more. 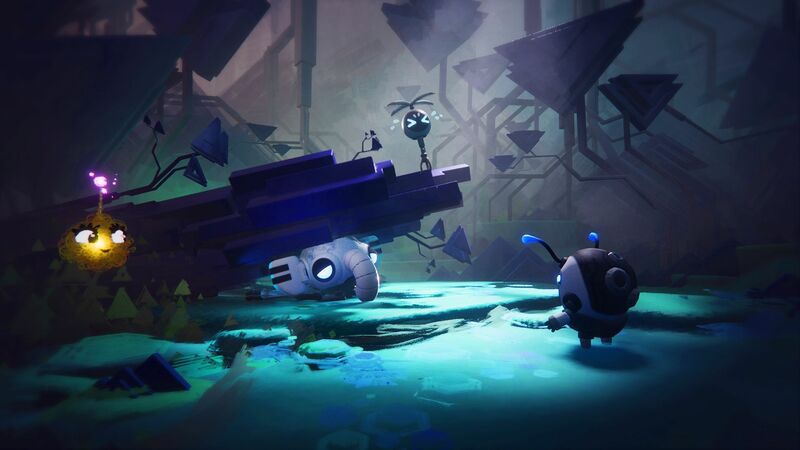 While Dreams has not been caught up in the traditional media hype cycle, Media Molecule has actually been demonstrating its tools for the best part of two years via livestreams and YouTube videos. In doing so, the developer has shown its community how it strikes a balance between tools that are intricate enough to offer depth, but intuitive enough to let those without aspirations of professional game development jump right in. "For us, it's always been about bringing a set of tools to the PlayStation that people on their couch can use," Reddy explains. "We never really wanted a super advanced mode for, say, the piano. We wanted one set of tools that's almost like an onion skin, where you can start out with the music tools and tinker around with the instruments, but if you want to go one stage further you can, and you can go deeper and deeper and deeper. But you can also just stay on the outside layer and play around with what we call the 'tier one' [tools]." The range of skills (or lack thereof) across the Media Molecule team has helped in this regard. Reddy observes that the way she uses the game's tools will be different to that of her art director - but that shouldn't mean she should struggle. "I'm not a trained artist, designer, composer or programmer, but I want to be able to play Dreams like anyone else will, make things like everyone else can," she says. "I'm very much the other end of that spectrum. We encourage everyone at the studio to get involved and this other end is what keeps it a little bit real. We need the depth, and we're very proud of the depth Dreams has, but in order to bring people on board, it's been some of the concepts from [us beginners] that will help people through that journey." She goes on to say that tutorials, offering feedback through the game, and even having weekly subjects and challenges to guide new or unsure players has proven to make Dreams much more welcoming. "It's interesting to try and pick away at all the little bits of activity - what are the simplest acts of creativity you can ask people in the beginning area to do in order to get over their fears of the blank canvas?," she concludes. "That's definitely been one of the areas we've been working hard on: to give it the depth, but also help people find that depth if they want to."